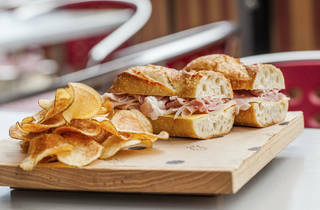 You're missing out if you think the West Loop’s dining scene only comes to life after dark At lunchtime, this vibrant food hood, home to some of the best Chicago restaurants, offers up outstanding sandwiches befitting its meatpacking heritage. 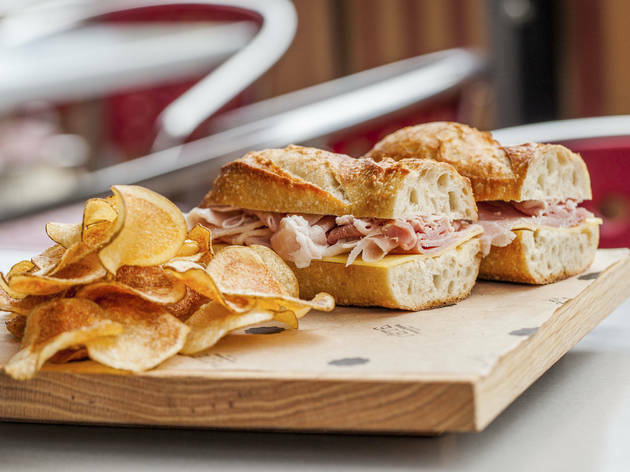 Discover the West Loop’s unsung heroes at these five great sandwich spots. 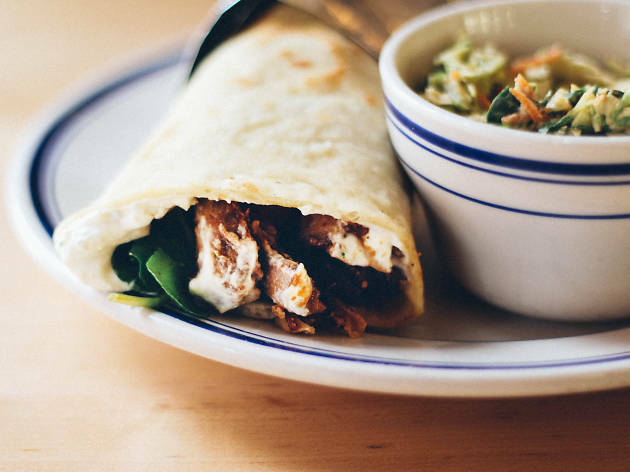 Comprising just five items, the savory menu at this petite spot (the repurposed front office of a brisket packing outfit) doesn’t take long to peruse. 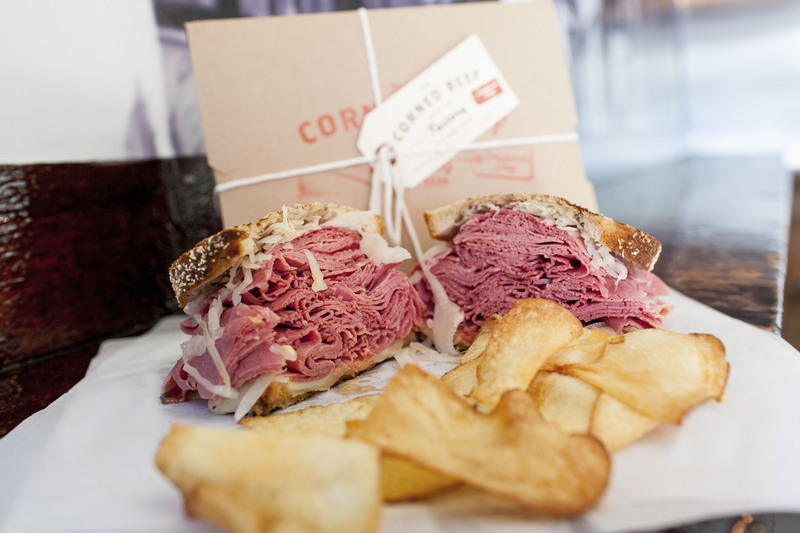 We’ll save you the trouble anyway: You’re having the reuben ($11, with chips). 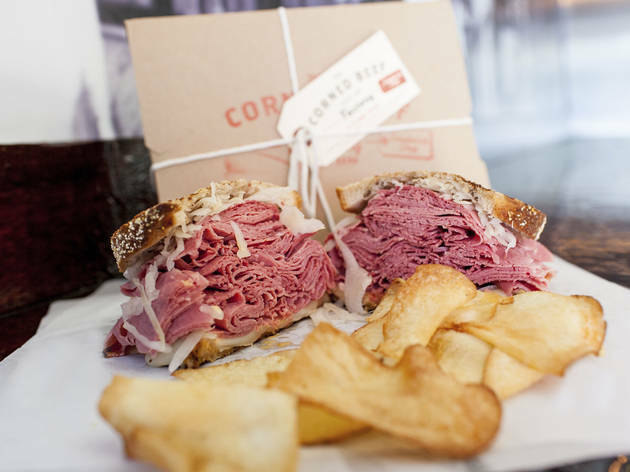 The usual conventions—Swiss, Thousand Island dressing, sauerkraut, piquant grilled rye—are all here, but the centerpiece is a boatload of thin-sliced corned beef. 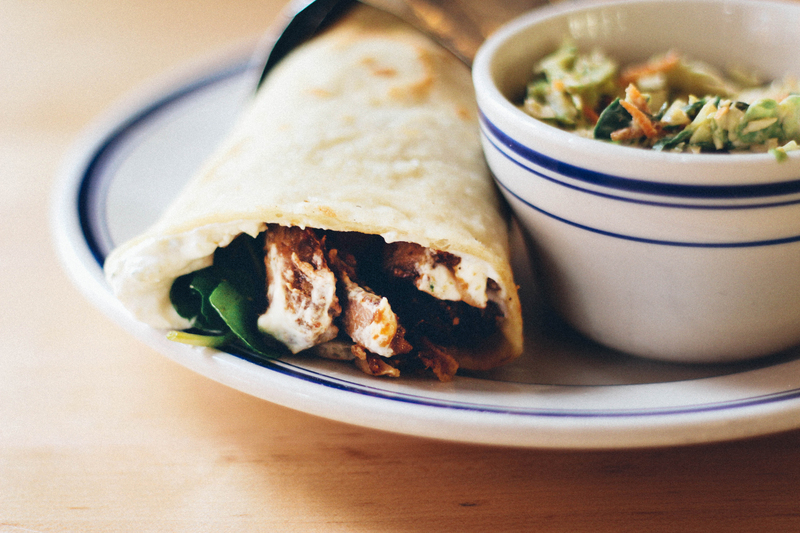 It’s a two-hander that’ll leave you with leftovers for later. 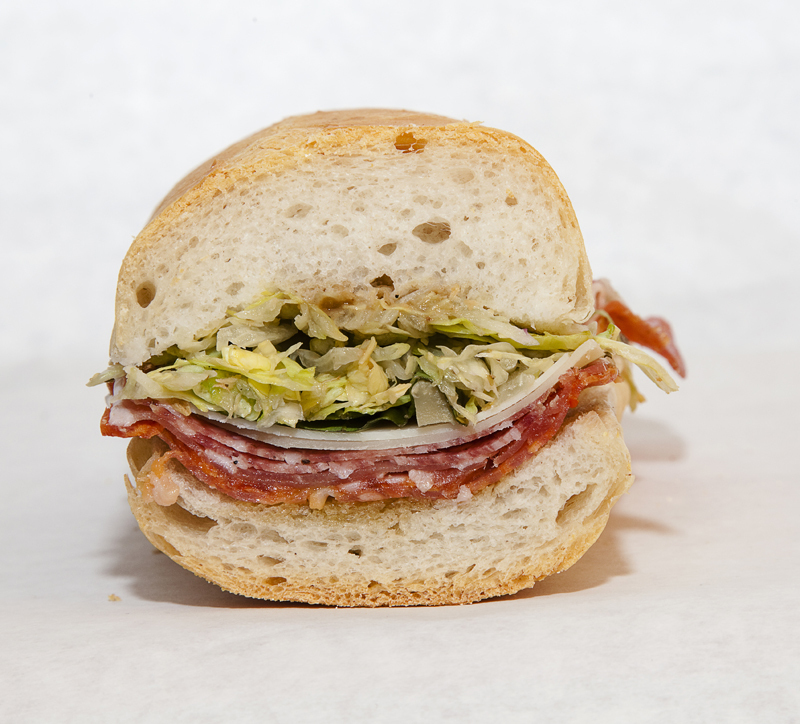 The old-school vibe at this corner shop isn’t manufactured—the Graziano family has been doing its thing here since 1937. 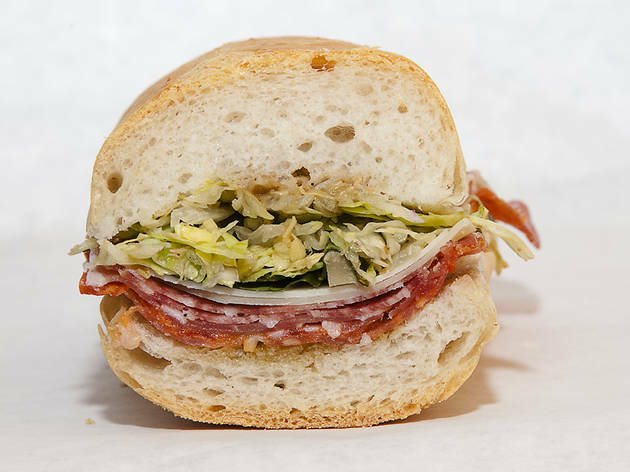 While it’s hard to go wrong with any of the sandwiches, the Mr. G ($9.25)—prosciutto, salami and sopressata, with biting aged provolone and marinated artichokes tucked into crackly-crisp bread anointed with hot oil and truffle mustard vinaigrette—claims house specialty status for a reason. 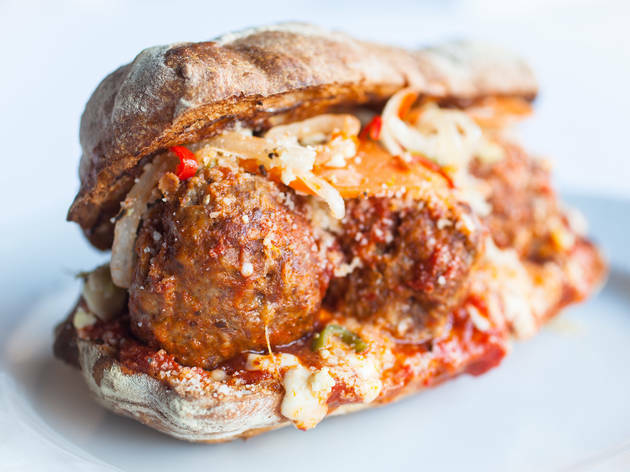 This sweetly appointed shop, little sister to modern red sauce spot Formento’s, deals in classic Italian sandwiches done without much meddling. 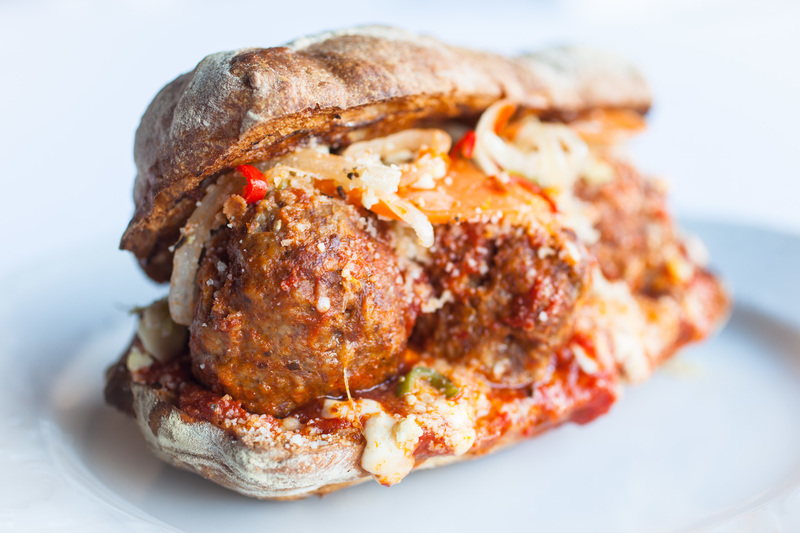 Go traditional with the chicken parmesan sub ($8.99) or Nonna’s meatball sub ($8.99), both accented with milky mozzarella and bright tomato sauce. Vegetarians will appreciate the wood-fired zucchini ($7.49), which marries chilled slices of its eponymous ingredient with pickled shallots and verdant pesto.